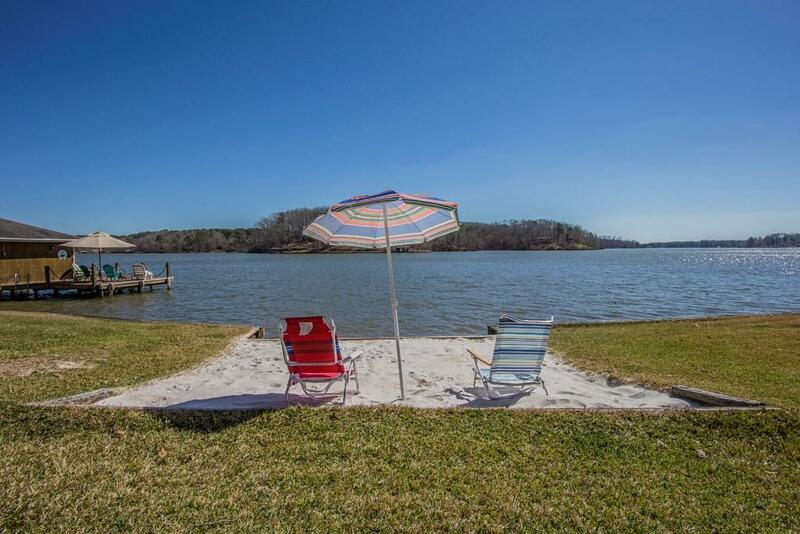 CONTRACT FELL THROUGH - BACK ON MARKET! 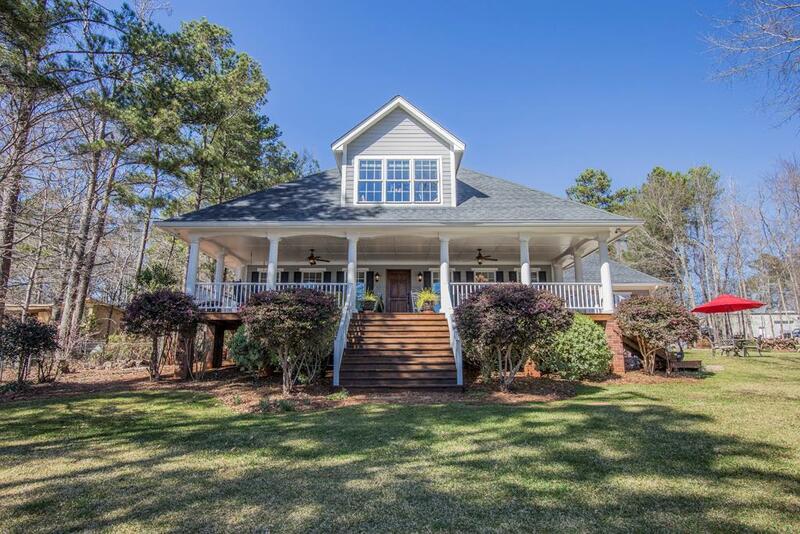 Two Acres of Graceful Southern Elegance on choice double lake lot . 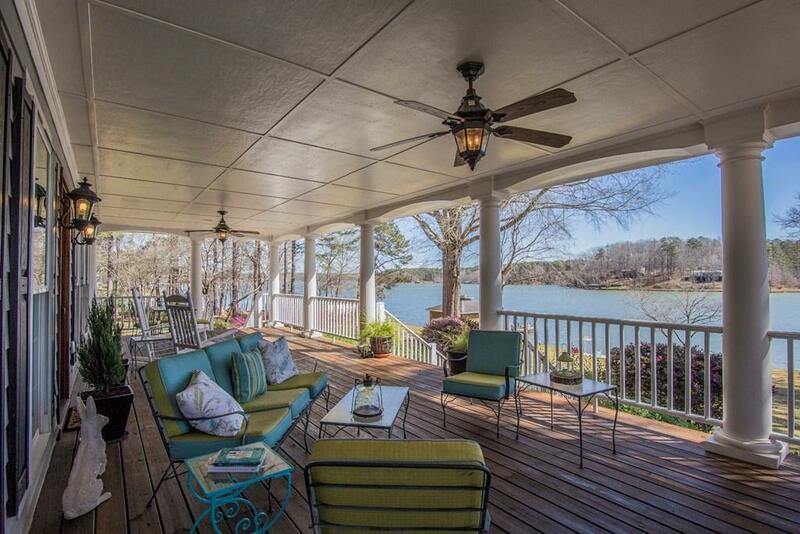 Prettiest sprawling lakefront porch- overlooks 200" frontage with DEEP WATER & wide open spectacular views. Open flowing floor plan perfect for family living and entertainment. 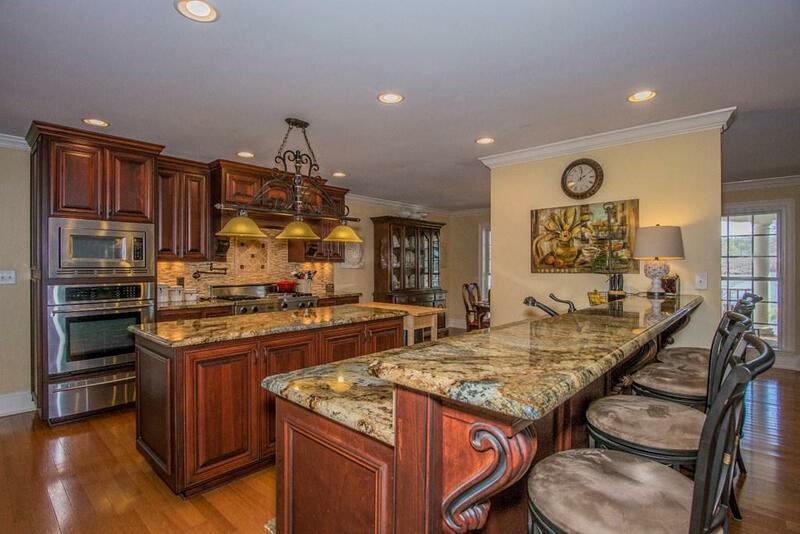 Gourmet stainless kitchen with work space and granite galore. Master on main with attached office/6th bedroom . Lakefront rec room w/ 2nd staircase to upper suite. Upstairs is fabulously fun!... 2nd kitchen and 3 additional bedrooms allow entirely separate living quarters. Abundance of unfinished storage. 3 car garage with large wrkshp. Unfinished bsmt w/ 2nd work area. Double boathouse with dbl lift. Fenced area for pets. Perfect gentle sloping lots... "Cream Of The Crop". Fee Simple.